So what do apples, emeralds, lawn, and green tea have in common? They’re all green – the colour of life, nature and renewal. If you’re feeling a little green around the gills, or just want to ‘go green’ then here’s some interesting facts on the virtues of green tea. It pays to be green! Tea originated in China and was taken to Japan by Buddhist monks. It then made its way to European countries by tea merchants. Today, green tea is widely consumed in the Far East and is becoming increasingly popular in Western countries by those who understand its excellent health benefits. The Chinese and Japanese have been making green teas for centuries and have developed it into an art form. Taking the young fresh leaf of the plant species Camellia sinensis and applying a special processing method to make green tea. It is classified into several different kinds according to the part of the leaf used, harvesting time, cultivation, manufacturing and packaging methods. The character, flavour, and body of quality tea is more complex than coffee. Some have likened tea to wine, where different varieties and geographical areas and processing distinguish each product. Recent studies have shown that antioxidants are naturally occurring substances in plants, vegetables and fruits that assist in neutralising free radicals. This then slows down the ageing process, giving a greater feeling of health and wellbeing. Many things can cause free radical damage such as smoking, alcohol, pollution, poor diet, recreational drugs, and ongoing stress. 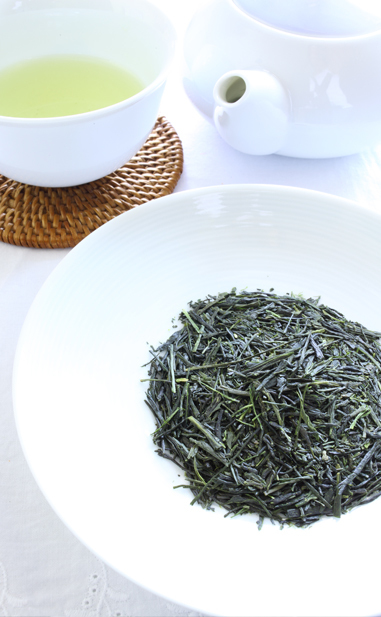 Green tea has the highest concentration of antioxidants compared to other teas. Antioxidants, known as Polyphenols, scavenge for free radicals. These toxins interfere with DNA and are also known to cause the death of cells. The health benefits of green tea are increasingly being promoted with some reports suggesting green tea may have the ability to prevent cancers such as skin, esophagus, stomach, colon, pancreas, lung, bladder, prostate and breast. Medical interest in green tea is centred on chemicals known as Polyphenols, which have anti-inflammatory effects and antioxidant properties. In China, green tea is used as a traditional medicine to assist people’s digestive system and to heal wounds. Tea drinkers tend to live longer than people who don’t drink the brew, partly because they are less likely to die of heart attacks due to the drink’s effect on the circulatory system. Green tea is great for boosting your metabolism if consumed on a daily basis. Thermogenesis is the process of heating an organism, such as our body. Heating the body raises the metabolism and burns calories. Caffeine content contributes to thermogenesis, however the amount in green tea is lower than in black tea and even less so than in coffee. When caffeine is combined with epigallocatechin gallate, an antioxidant extremely abundant in green tea, the process of thermogenesis occurs. This means that the green tea has this thermogenesis effect on the body without the high caffeine content and associated rises in heart rate. With a balanced diet and exercise, green tea will encourage the burning of calories to help you create your calorie deficit. It’s a great alternative to drinks high in calories, whilst keeping you hydrated. Loose leaf tea has approximately 5 grams in a teaspoonful, where as a tea bag contains on average 2 grams. A tea bag generally contains plants that have been ground or powdered. While this makes it easier for the manufacturing process, the tea loses much of its healing properties in the process. For health and healing benefits use 5 grams of tea three times a day. This has been used for centuries as a standard dose. Another beneficial effect of all loose leaf teas is the ceremony and ritual involved in making it. Tea is not instant – brewing it forces us to slow down and take a moment for reflection. Warming the pot, pouring the tea, slows us down and allows people to share and communicate. Green tea contains fluorine, which prevents cavities. It also carries ingredients which suppresses plaque and the bacteria that causes bad breath. Put simply, Two Rivers Green Tea is essential to a well styled life!